Celebrate All Hallow’s Eve with a Shiver up Your Spine! Happy All Hallow’s Eve to all of you ghouls and goblins. 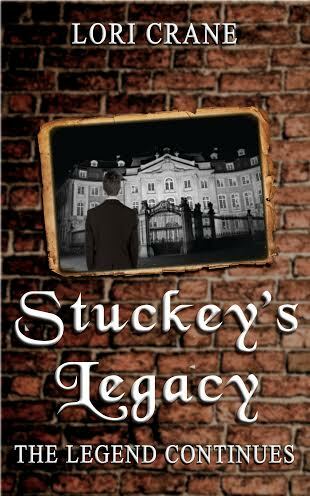 Old Man Stuckey is the perfect accompaniment to a frightful Halloween week. He’s a little bit Dexter with a streak of Hannibal, but somehow, he makes me laugh. Pick up a copy…if you dare! Sweet dreams. Click HERE to go to Amazon! If you don’t have a Kindle, no worries. Click HERE to download the app to your tablet, computer, or phone. 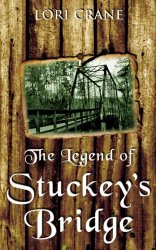 Here’s a creepy blog about the Legend of Stuckey’s Bridge by Lowry Wilson at Old South Images…click HERE if you dare. 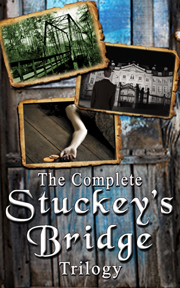 The three-book trilogy is available exclusively on Kindle at Amazon. Happy Halloween and sweet dreams! She knocked on the wooden frame of the screen door and the rattle reverberated across the screened porch. The kind face of a white-haired man with gray eyes greeted her warily. “Yes, sir. I’m looking for Sheriff Temple.” Penny gave him her biggest and brightest smile. The sheriff froze. He stared at her for a long time and didn’t respond. He sighed, turned away from the door, and walked into the house. “Oh, all right. Come on in.” He didn’t open the door for her and he didn’t sound very enthusiastic. Penny pulled out a wooden chair that was covered with dust. She scanned the room to see if there were any feminine touches, as the house appeared to be owned by a bachelor. She saw nothing that would suggest a woman lived there. As the former sheriff stood at the wood-burning stove, she glanced at the back of his wrinkled shirt, hoping he wouldn’t turn and see her wiping off the chair before she sat down. She held her handbag in her lap, as she wasn’t sure if he would offer her some tea or kick her out in the next few minutes. She was concerned when he began to cough violently. He pulled a cigarette off the shelf above the stove and lit it with a match. Penny remained silent and watched him exhale smoke between coughs. As his coughing spell subsided, the teakettle whistled. The sheriff used a pot holder to grab the hot kettle, and he poured two mugs of tea. He brought them to the table and placed one in front of Penny. “Thank you,” she said softly. He turned back to the stove, snubbed out his cigarette on a plate, and then sat down at the table. Penny nodded and took a sip of her tea. It was extremely hot and just as weak. Once the sheriff began telling her the story, he spoke for quite some time. She listened wordlessly, mesmerized by the tale. 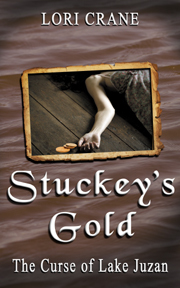 He told her the whole saga of the inn up on Chunky River and the innkeeper’s victims. She sat with her mouth agape at the heinous story, and was even more stunned at the way it ended. “Yes, it appears he took the name of one of his victims. The two sat in silence for a few minutes while Penny absorbed the gravity of the tale. “And what was this item of great importance?” He wrinkled his brow at her. Hallowe’en Blog Hop – Trick or Treat! Welcome to the Hallowe’en Blog Hop Trick or Treat! Thank you so much for stopping by and thank you to author Francine Howarth for organizing the spooky event. 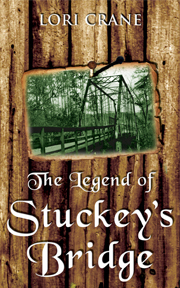 The following is an excerpt from my book The Legend of Stuckey’s Bridge. Please leave a comment at the bottom of the page and include the words “Trick or Treat” to be entered into my witches’ hat for a Kindle copy of the book. Only one copy will be given away, and a winner will be chosen at the witching hour Oct 31. That’s midnight Pacific Time for you mortals. Check back Nov 1 to see if you’re the winner and to claim your prize. Have a safe and ghoulish Hallowe’en, my little toadlets! The fog was dense, and the freckled boy couldn’t see more than a few feet in front of him, but he ran as fast as he could, tree branches whipping at his face. He tripped on a log, lunged forward, and nearly hit a tree head-on, but he caught his balance with his hands on the large tree trunk. He swung around behind it, leaning his back into it. He put his hand to his mouth to quiet his panting and felt the stickiness of sap from the trunk. He tried to wipe it off his face with his other hand, but that one was full of sap, too. He breathed slowly through his nose as he listened for his pursuer. He didn’t hear anything. He was shaking uncontrollably and couldn’t stop himself. He clenched his jaw so his teeth wouldn’t chatter. Maybe he lost the murderer. Maybe he was dreaming. Maybe this was all a nightmare. Maybe he didn’t just witness an ax splitting his friend’s head wide open. He looked up into the black arms of the branches but couldn’t see anything but shadows. He glanced around in every direction, not being able to see more than a few feet in front of him. Where should he go? He didn’t know where he was or how long he would have to run to find safety. The nearest person could be miles and miles away. He didn’t see a place to hide. He would have to keep running. Surely the man wouldn’t follow him all night. He held his breath and listened. Nothing. Which way? His breathing had begun to return to normal when a twig snapped loudly behind him. He gasped. He bolted in the direction opposite the voice, straight into the thick fog, running as fast as his feet would carry him. Vines and barbs grabbed at his legs, and branches scratched his arms like the claws of an unknown creature trying to rip off bits of his skin. He ignored them. He stopped dead in his tracks as he felt an immense pain on his forehead, but he knew it couldn’t possibly be his pursuer’s ax. The murderer was way behind him. He reached up to his face and felt something metal—something with a wooden handle. What is this!? The thick fog had limited his visibility. The sticky, warm wetness dripping into his eyes blinded him completely. His face was covered in warmth. Is this blood? He moved his hands over the object stuck in his forehead. A rake? Where did a rake come from? And how did it hit him squarely in the forehead? Confused, frightened, and in pain, he dropped to his knees, and an agonizing scream involuntarily escaped his lips as the long, wooden handle of the rake reached the ground before his knees did. The tines jerked upward, ripping off the front half of his scalp. The last thing he felt was the ax on the back of his head. Don’t forget to say “Trick or Treat” in your comment to be entered into the ghastly drawing and check back Nov 1 to see if you’re the winner! Please visit the other Hallowe’en blog hop participants. 3 Busy and FUN Things! Three awesome things in the works!! 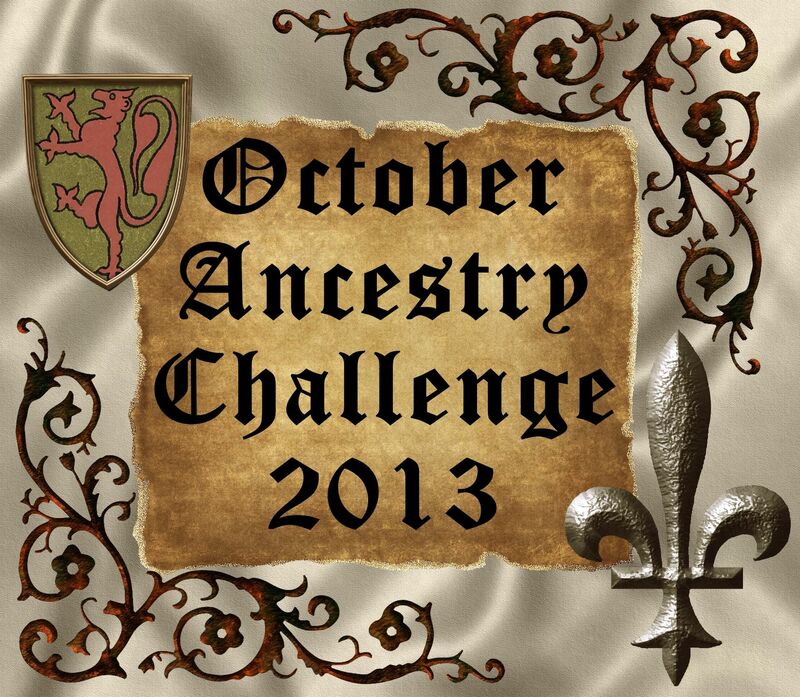 1) I’m hosting the OCTOBER ANCESTRY CHALLENGE 2013 Oct 1-31. The goal is to post 23 blogs (Monday through Friday) in October about 23 different ancestors. All are welcome to join us. Comment and I’ll add your name to the roster that I’ll post here on Sept 30th. If you don’t wish to participate, please stop by in October and let us dazzle you with our family’s history. 2) Romancing the Blog is hosting the HALLOWE’EN BLOG HOP Trick or Treat (with giveaways!) on Oct 31st. Make sure to stop by and win lots of treats! Rumor is authors will be giving away FREE Kindle copies of their books. Can’t wait! 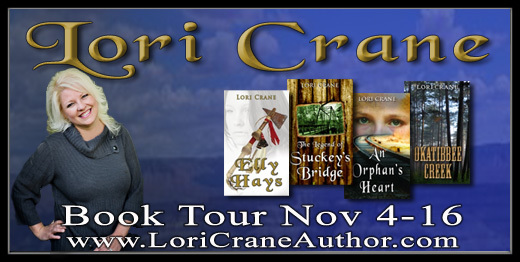 3) The ELLY HAYS virtual book tour runs Nov 4-16 celebrating my new release. Opening night features an online release party 7-9pm ET with GREAT prizes. Everyone is welcome! Closing day features a LIVE Twitter Chat 1-2pm ET. Use #ellyhays and join us. Mark your calendars! I’m beyond excited!